There's still time to participate in Color Challenge 41! Remember, you don't have to have the EXACT colors to play. Just use colors inspired by the ones you see below. This challenge features soft citrus colors to inspire you — Daffodil, Sour Apple, Gumdrop Green, and Biscotti. 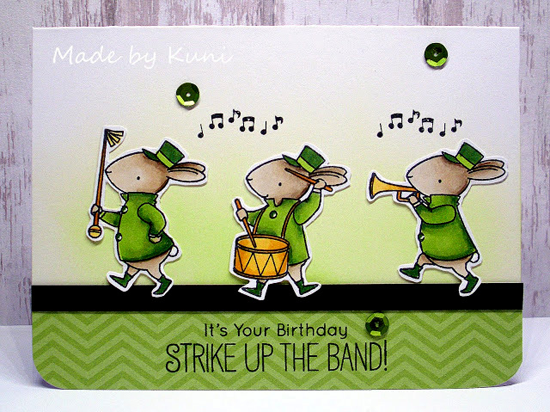 From Annett Näther comes this whimsical design featuring our Strike up the Band stamp set and Die-namics. 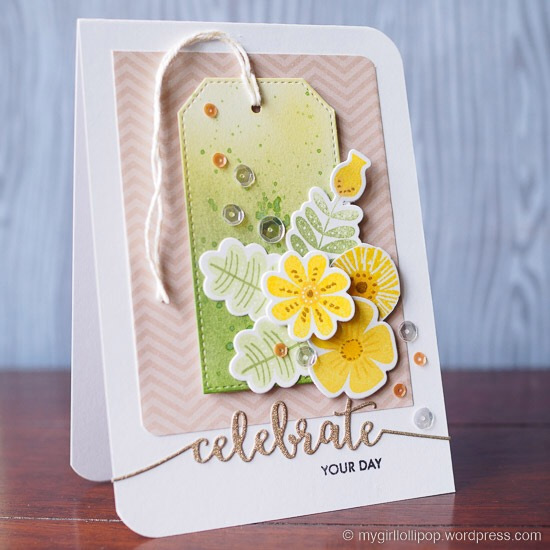 And then there is this lovely card from Gemma C. featuring the Stitched Traditional Tag STAX Die-namics and the Fall Florals stamp set and Die-namics. I love her rounded corners and straight corners, too. Very fresh! So cute! I'm missing two of the colors! These are both so gorgeous! !